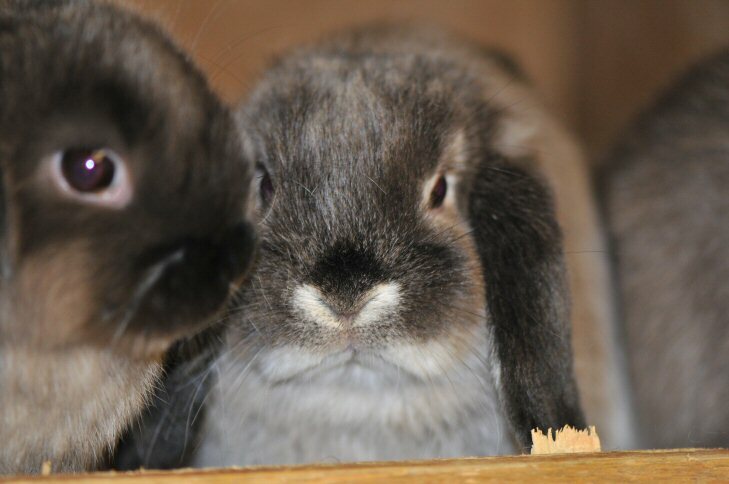 Miniature lops have been here for about 8 years and are certainly proving very challenging. This year has been one of my most successful with sable minis, with a bundle of energy and mischief called Tomsk. Tomsk is a marten sable, bred from a lovely doe called Truda and Tonto, bred by Phyllis Chell (on the minilop smokes page). As an under 5 month old Tomsk came 2nd out off 44 in the under 5 lop challenge at his first show, followed by 3rd out of 30 in the under 5 month lop challenge at Henley show. He is now at home maturing into an adult and enjoying stud duties! but trying to dig it up! Tiny Tim is a dark sable buck. Here he is surveying the garden from the top of some outside hutches. As he is a dark sable, I will try to mate him either to a red-eyed white or medium or even light sable doe to avoid the sable getting too dark and resembling a black. As he looks so small and tidy he will be a very useful breeding buck. Tiny Tim, was bred from a mated doe that I bought from Paula Pyke last April. As a ‘thank you’, he went back to Paula as he was the best in the litter and she showed him a couple of times. Around December last year Paula was reducing her stock and offered him to me. He was mated to a couple of does and then in March I decided to show him as he had developed quite a stunning head set up. 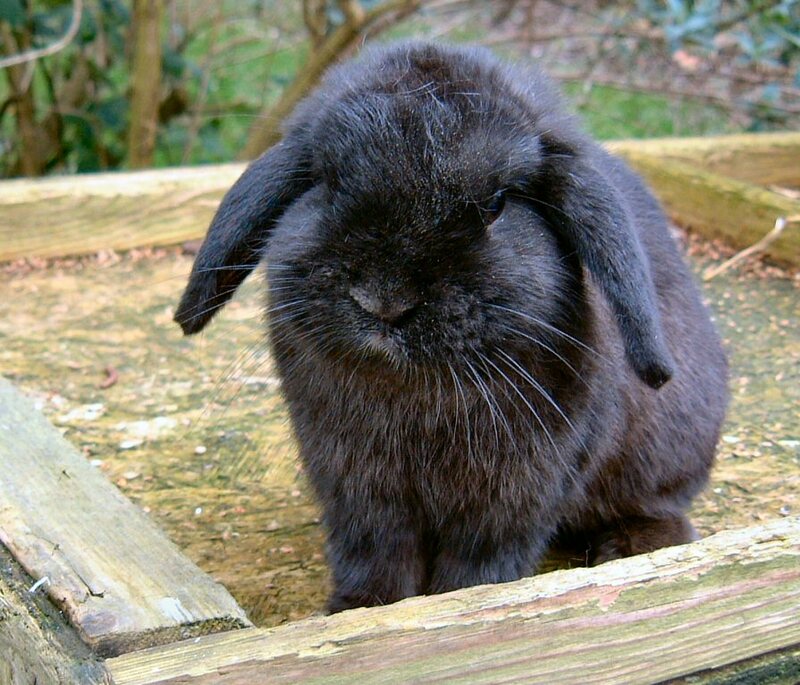 To my great delight he took Best of Breed at the Reading show in April and was second best lop. At his next show he took the CC but went no further in the competition. Last week, on 4th June he went to Buckingham Country Show. To my great delight he took Best in Show!! The ultimate accolade. 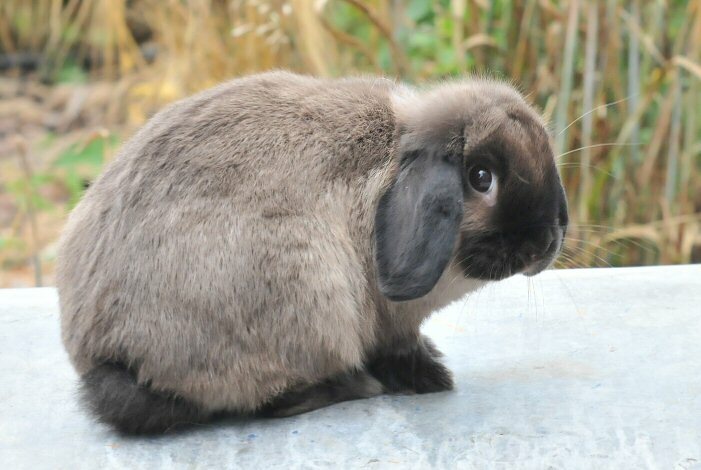 To own a rabbit that I really like, in looks and character but at least 3 judges really like is a very exciting feeling. 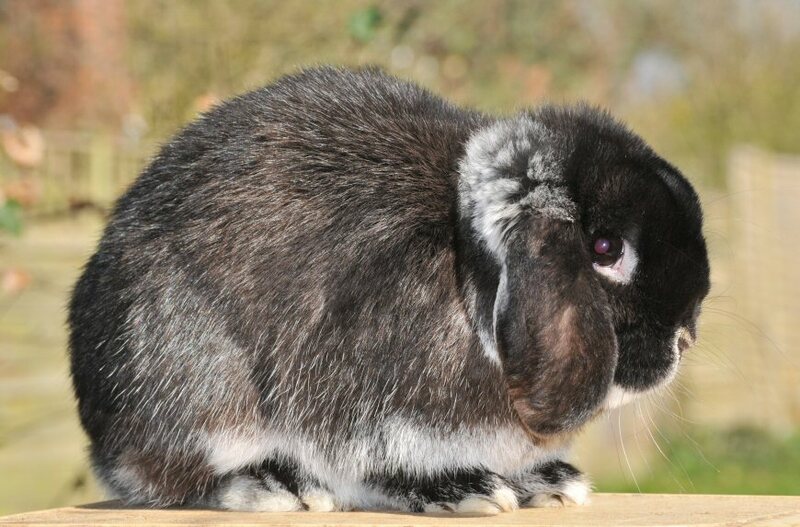 The lop judge was a very respected breeder and exhibitor of lops, and looks for excellence in type and presentation. 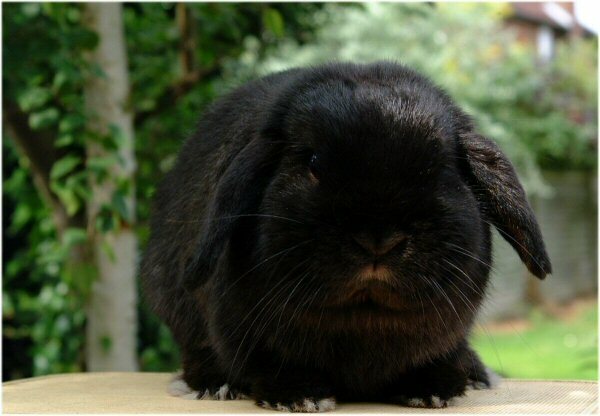 To have achieved Best Lop under him would have been more than sufficient but to have him champion my rabbit against a stunning looking fur rabbit, an Alaska, a lovely rex and white Netherland dwarf, I believe bred by a man who has won many major shows, is quite indescribable. My exhilaration was summed up on the day by a fellow exhibitor who had stewarded Tiny Tim for much of the show (took the rabbit from his pen to the judging table and posed him for the judge) racing over to me, punching the air and saying ‘you’ve done it!’. I had to check with the show secretary before allowing myself to jump up in the air several times. Now the challenge for me is to produce more Tiny Tims. I have yet to see the judge’s report in Fur and Feather, the official magazine of the BRC where show reports appear, but talking to Bill Parish, the lop judge afterwards he said he was particularly impressed with the head ‘set up’. It is interesting to see how much broader the head is from the photos taken in December, and the most recent ones above. 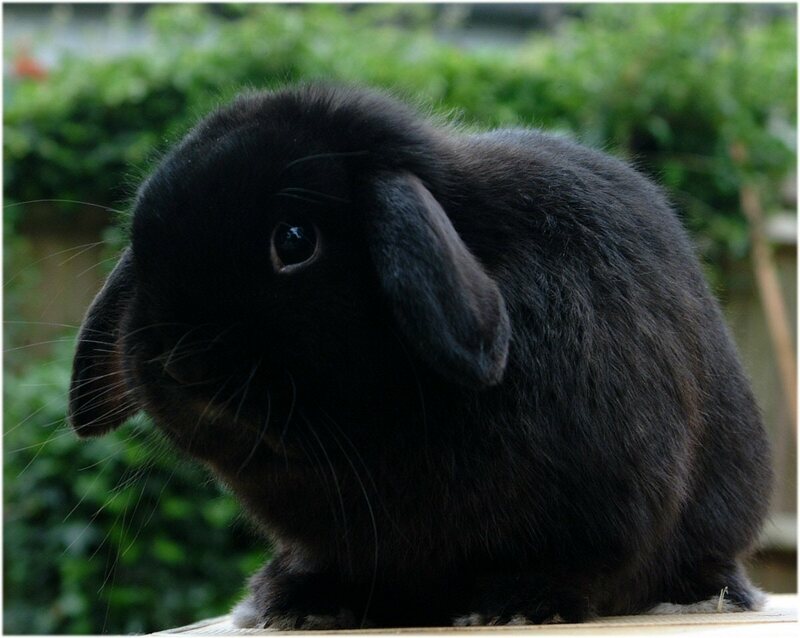 There is a saying in lop breeding, that if a rabbit looks good at about 4 weeks old, at some point those good looks will return. This is certainly true here, even though it has taken about a year. From the litters last year I kept several does and these have now have litters of their own. So far a marten sable, a marten smoke and 3 sables look very promising. The sables are still here and early last year I bred this buck, a dark marten sable, now with another breeder, and appropriately called ‘Chunk’. He grew too big to show but has been used as a stud buck to pass on his type. Two of his sons, a marten sable and siamese smoke are looking promising for 2009. After a fairly quiet year for the minis, spent working with Blackberry, a grandson of Tiny Tim’s and various does the minis are now back! 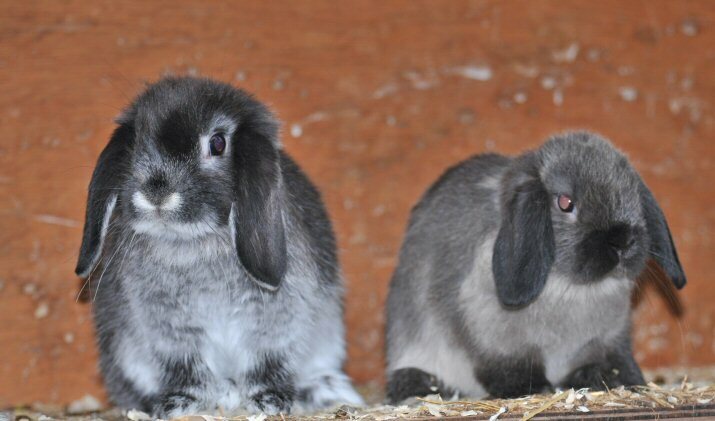 There are 2 promising litters, both contain sables and siamese sables, white and marten smoke. A sable doe born earlier in 2011. I hope she will have her first litter in the autumn. A litter born here summer 2011. I kept a marten sable doe but really feel in love with all 4!